In 3D printers, the gantry is the frame structure that supports the printer head along the X/Y axis as the printer head moves around to print the part on the build platform (similar to an arcade claw game). 3D printers typically use 3 gantries to support the printer head. The gantries are moved by stepper motors, which use digital pulses to move and track the gantry. The stepper motors allow for high resolution movement by allowing the pulses to move the motor at a small fraction of a rotation. 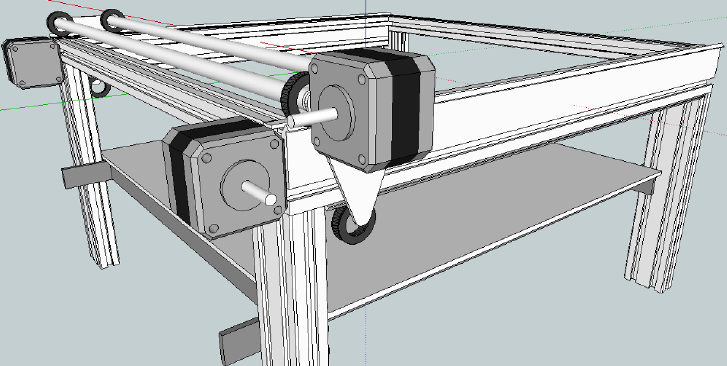 The gantries hold up the printer head as it moves along the build platform.